Round Metallic Finish Desk Grommets are great for making freshly drilled holes smooth for cable installations and more visually appealing. Following a two-piece design, an open sleeve runs along the circumference of the grommet and a snap-top cover secures the object versus letting it hang loose. 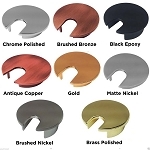 Made with a metallic finish, these round desk grommets are perfect for passing larger object such as bulky plugs, bundles, harnesses, and the like. 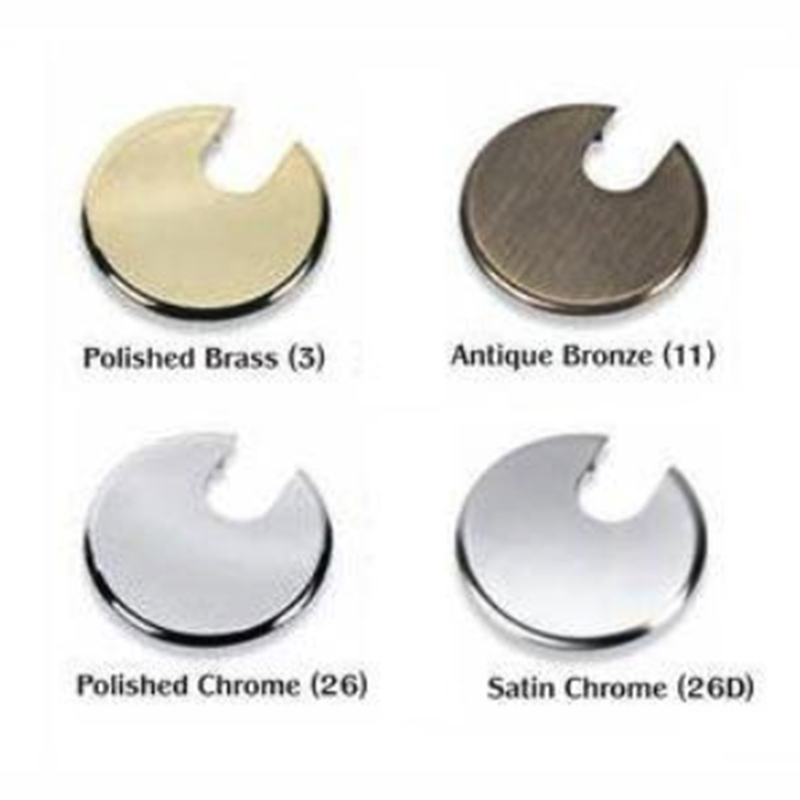 These Round Metallic Finish Desk Grommets can complement various home and office environments and come in many different sizes for different types of applications. Click the "Specifications" tab for all dimensions. I used the metallic grommets to conceal the wires for my computer on the new granite desk I just had installed. These grommets were a nice finishing touch. I am very pleased with the look. Your grommet's perfect for my need. I recently moved to Florida into an older home with ONE outlet in the bathroom. Adding outlets is almost impossible because the outside walls are concrete block. My electrician ran a line under the counter behind the sink and installed an outlet under the other end of the counter. 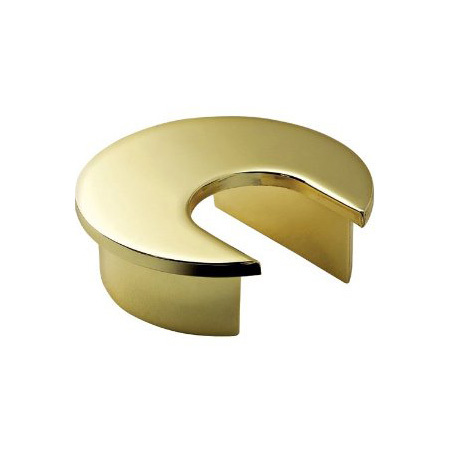 Then he drilled a hole into the marble counter top and with your brass grommet to "dress up" the hold, my grandmother's lovely table lamp now provides light and beauty, and your handsome brass grommet keeps the entire set up looking almost as if it were "intended"